Hier geht es zur deutschen Version des Beitrags. 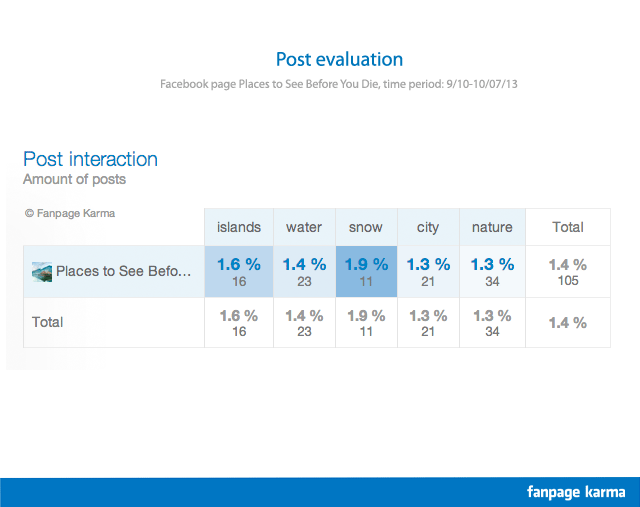 Facebook analytics tells you for instance if pictures are more engaging than links. But wouldn’t it be great to know exactly which topic, which motive and which tonality is the most engaging? This is what’s possible with the brand new feature of Fanpage Karma: tagging! From now on page administrators can tag all their posts and see what really works at one glance. Check which topic works. With all details you want. Individualized. For any page. From now on users can tag posts and see which topics are working good and which topics don’t go so well. To categorize your content you simply have to tag the posts you want to analyze and compare them in the post evaluation. You can filter all post by tags as well. You can use as many tags as you want to, you can add new tags at any time, rename or delete them or pick tags from a standard list. You can pick from different KPIs and choose free time period. It’s worth it. Certainly you achieve exactly what you have to know for successful postings. You can check in the post evaluation which posts work best, which tag combination is the most engaging and what doesn’t get that popular. As an example we checked the Walmart Facebook page and categorized their posts. We differentiate if they ask the fans to do something (like, comment, share) or if there is no call to action included in the post. And we tagged product pictures with “image” and mood images with “mood”. 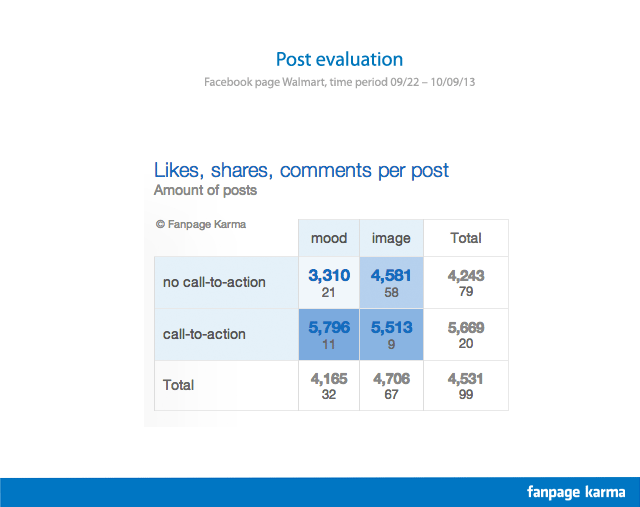 The result: posts with call-to-action generate way more likes, shares and comments than posts without. Further product pictures are more engaging than mood images if they come without call-to-action request. You can work as elaborate as you want. For instance you can see on the Page of Places to See Before You Die that surprisingly posts which show snow getting the highest post interaction. More than all those beautiful island or nature pictures. 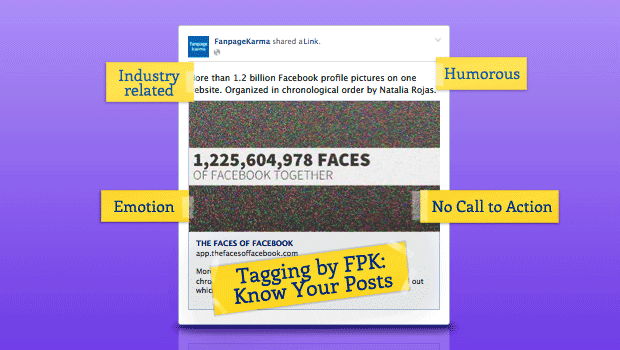 And as it has always been with Fanpage Karma the tagging is not just possible for your own pages but for any page. 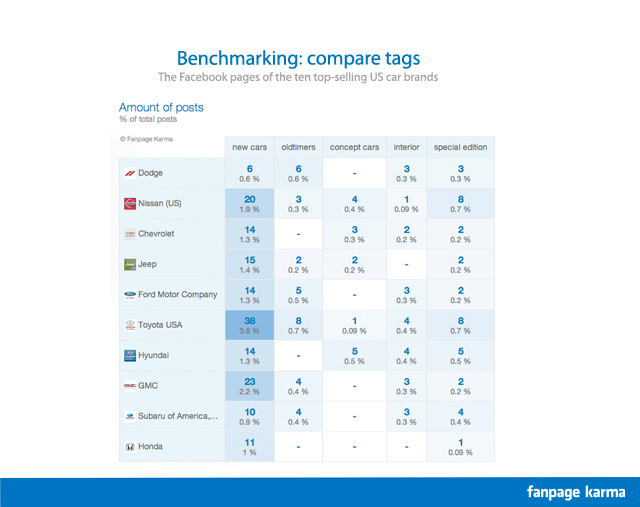 So you can compare all your competitors in the benchmarking by tagging everything what’s interesting for you. Furthermore you can filter all Fanpage Karma analytics by tags. Compare for instance which topic works at what time or find the top posts by the categories you chose. As an example we checked the Facebook page of CNN. 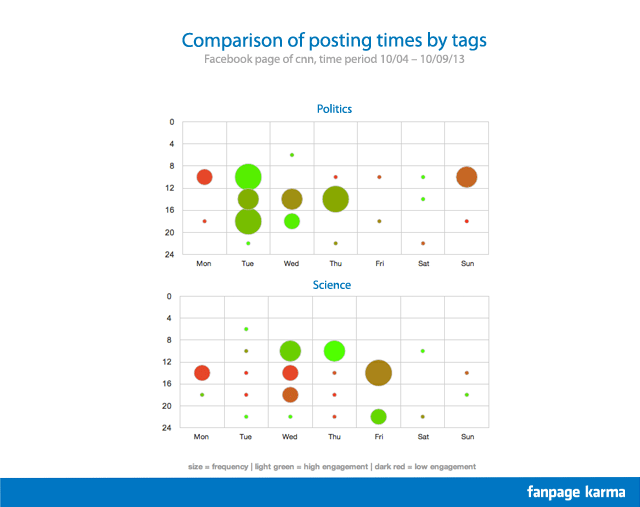 Topics which are tagged with “politics” generate a lot of engagement during the day while posts tagged with “science” don’t work so well at the same time. We have an awesome opening offer for ALL users (including our free users): Every Fanpage Karma user can try the new feature for free till October the 23th. Reach great insights and interesting analysis you haven’t had before in social media monitoring. NEW! The tagging opening offer: Try it for free!